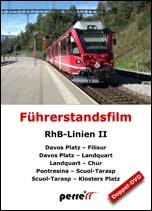 PE135 RhBLine 1 St Moritz Chur-Albula Bahn,St Moritz Tirano- Bernina Bahn. DVD 1. St Moritz to Chur. The Albula Railway from St. Moritz to Chur is one of the most beautiful railway lines in Switzerland. 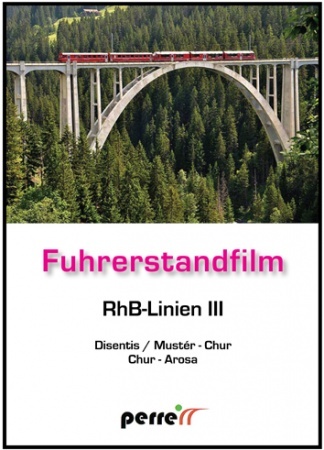 The highlight of this railway line is the Landwasser Viaduct near Filisur. We travel north from the Engadin to the capital of the canton of Graubünde. DVD 2. St Moritz -Tirano. 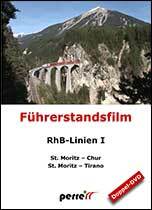 The Bernina Railway from St. Moritz to Tirano was included in the UNESCO World Heritage in 2010 together with the Albula Railway. We travel in autumn and experience a colorful landscape.